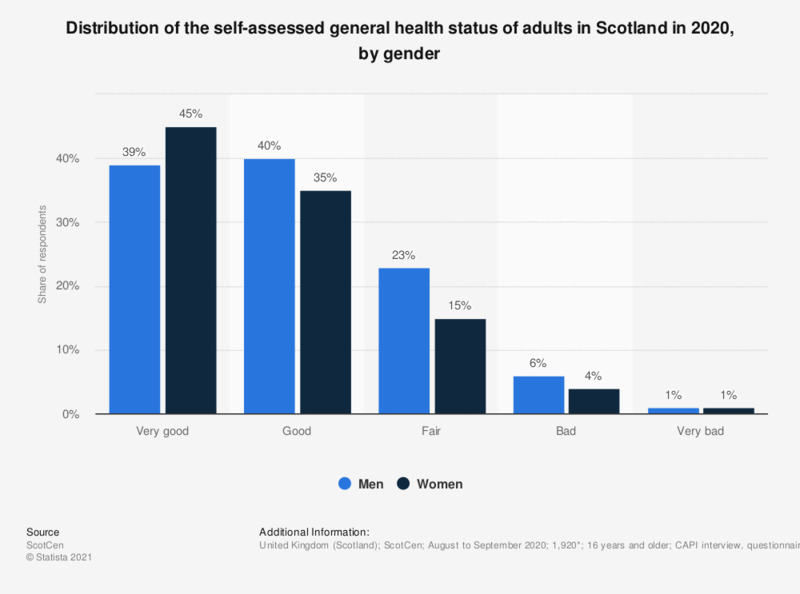 This statistic displays the distribution of the self-assessed general health status of individuals in Scotland in 2017, by gender. In this year, 34 percent of men as well as 34 percent of women said that their own general health was very good. * Weighted bases: n (men)=1,597 n (women)=2,099 .